We’ll preface this overview by saying if you’re a fan of hot sauce, Dr. Stadnyk’s Hot Sauce is a must-try. Let’s start with a little background information on the company. 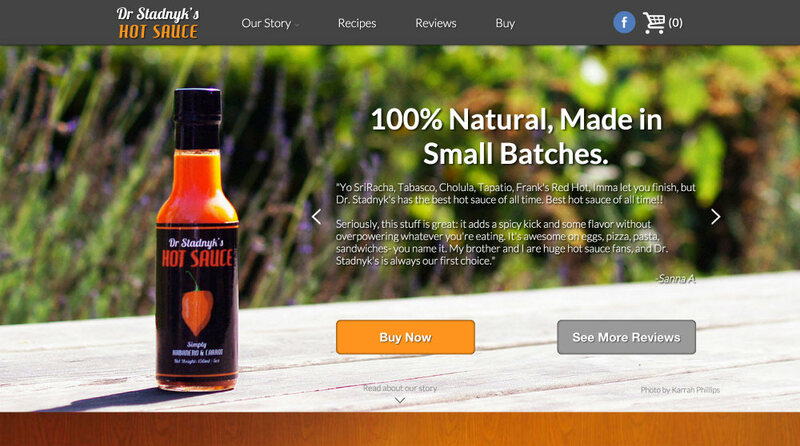 Dr. Stadnyk, a Houston-based cardiologist, had been making delicious hot sauce in small batches for years. When his son, Alex Stadnyk, brought some of his dad’s homemade hot sauce along with him to college and it became a big hit among his fellow students, he decided to share the flavor by turning his father’s hot sauce into a business. Alex reached out to us to take on the launch of the website for his new business. He wanted a site that was modern, simple, and provided an easy user experience. Take a look for yourself and see if you think we nailed it.